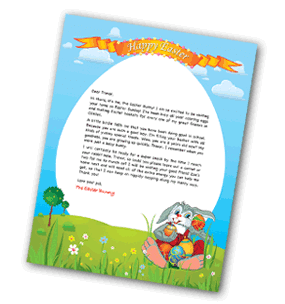 FREE Personalized Letter from the Easter Bunny! I just made one of these for my daughter and it's going to make an awesome Easter basket addition! Head over to create a FREE Personalized Letter from the Easter Bunny! You can customize it with your child's name, accomplishments, hometown and more. Just fill out the info and print out! Looking for more freebies? Click here and scroll down!